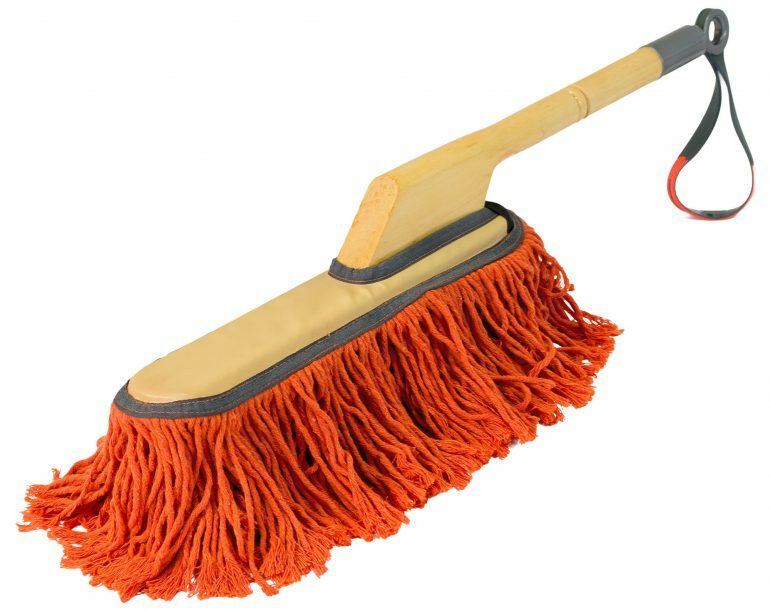 Super-sized duster with long wooden handle to remove dust from any size surface. With paraffin-wax coated strands, dust is instantly captured rather then moved around like other dusters. As dust is captured it creates a static charge capturing more dust with the lightest of touches, avoiding all marks and scratches. With hanging loop and protective case to store without fear of contamination.